Wayanad is a bright green mountainous region in northeast Kerala, which stretches for over 2,000 square kilometers along the Western Ghats. It has a great deal of scenic appeal. Abundant coconut palms, thick forests, coffee and tea plantations, paddy fields, and lofty peaks form the landscape. Due to the nature of its terrain, the area is also popular with adventure enthusiasts. 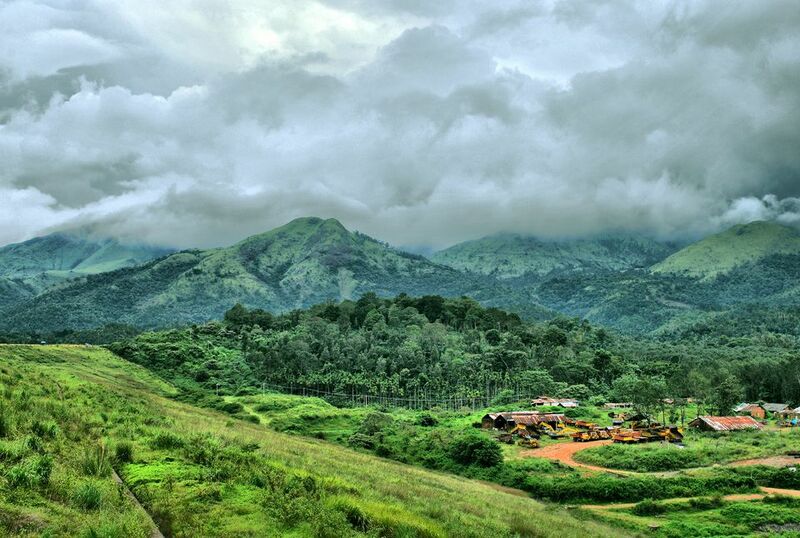 The pictures of Kerala's Wayanad region in this photo gallery show it's natural beauty and attractions. Wayanad is one of the top tea producing areas in India. Most of the tea plantations are located south of Kalpetta. If you're interested in tea tourism, stay at Parisons Plantation Experiences. Accommodations are provided in two luxuriously remodeled bungalows on large tea estate with a history dating back 200 years. Tea leaves are packaged after being plucked, and then are sent for processing. Cultura RM/Philip Lee Harvey/Getty Images. In addition to tea, Wayanad is also a significant coffee producing district in India. About 90% of Kerala's coffee is cultivated in Wayanad. Glenora Homestay is located on a coffee and spice plantation, with organic fruit orchard, in Wayanad. The highlight is its two luxury cottages that have been constructed on concrete stilts into the side of the slope. Their balconies overhang the valley below and it feels like you're living in a tree house. The sunrise is spectacular! Find out more in this review of Glenora Homestay. Wayanad's unique climate makes it perfect for producing rice, including some rare varieties that can only be grown there. Unfortunately, rice cultivation in the region has decreased due to poor profitability. Agriculture is prevalent in Wayanad and farmers can often be seen laboriously working in the fields. Wayanad is also home to many betel nut crops. Betel nuts, which are the seeds of the fruit of the areca palm, are chewed for their energy boosting benefits. They're a common ingredient in paan. After the betel nuts have been collected, they're sent for processing. This involves removing their shells, boiling and drying them. Despite their odd appearance, jackfruits are delicious and widely grown in Wayanad. The season usually starts in June. Chembra Peak, the highest peak in Wayanad, is a popular trekking point in Kerala. Sunrise Valley also provides some excellent trekking opportunities in Wayanad. Banasura Sagar Dam is the largest earth dam in India (and apparently the second largest in Asia). Construction of the dam was complete in 1979. It's located in Wayanad's Kalpetta area and is a popular place for boating and the start of treks. The lesser-known Kanthanpara Waterfall is only five minutes drive from Glenora Homestay in Wayanad. It's much more peaceful and less frequented than nearby Sentinel Rock Falls. Uravu is a non-profit organization that works with underprivileged and marginalized local people, and trains them in the skill of bamboo processing and handicraft making. The center has a small shop that sells a range of handicraft items. For more information about this worthwhile attraction, visit the Uravu website. The mysterious Eddakal Caves in the Wayanad district are said to date back to the Stone Age. The name means "stone in between", and the caves are fascinatingly formed by a big boulder balanced on two smaller boulders. On the walls inside the caves are curious pre-historic etchings, which have attracted the attention of archeologists and historians worldwide. It's thought that some of the etchings are more than 5,000 years old. If you're fit and feeling energetic, it's possible to climb further up the hill above the Eddakal Caves in Wayanad. You'll be rewarded with a panoramic view! There are plenty of monkeys around the Edakkal Caves in Wayanad. They're not shy either! Muthanga Wildlife Sanctuary is one of two wildlife sanctuaries in Wayanad. The sanctuary is explored on a jeep safari, either in the early morning or late afternoon. It's preferable to visit the sanctuary during the hottest time of the year, from March to May, when the animals are out looking for water. Otherwise, you may not get to see many animals at all.